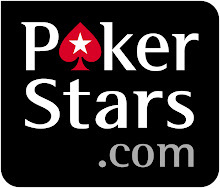 Everything is starting to fall into place with RainmanPoker.net. The site is almost done the way we want it. We got a sick house in Vegas for our Elite Members to come out and train live with Nick, Bodeye and myself, pictures coming. So life is good. Nick, Bodeye and myself went out for sushi at Caesars a couple nights ago and Nick decided he wanted a new pair of shoes, so he decided to pick up a pair of $400 Luis Vutton sneakers as a treat for a good couple week performance at the tables. There will be a day soon when I will be able to justify paying $400 for sneakers, but for now I will stick to my $200 Asics, but that's why he's the Rainman! Heads up for those of you coming out to train live (and for those of you who will come out live in the future). I can't stress enough that Nick is an intense guy, and will expect you to work twice as hard as he does, so be prepared to work hard and do what is told and expected of you, no questions asked. Side note...when Nick is in his office, playing or not, it is a "No Go" Zone. We have already had students interrupt him while he is playing or focused getting other work done, and you really do not want to be around to experience that, trust me...you've been warned. Strict "Do Not Enter" area when he is in his office. Nick is one of the greatest and most generous guys I know and wants to help every member and student succeed so badly that his emotions can be misinterpreted sometimes, so to stay on our good side, simple rule is to follow directions and do what is asked of you. Till next time, good luck at the tables!